This is an important and timely topic, and the rest of the article is here. 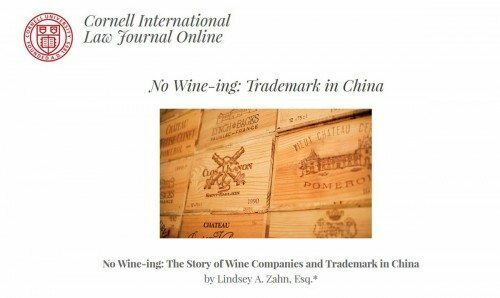 TTB has lots of good information about alcohol beverage law in China, here. I did read that article a few days back. For me, the “first-to-file” system is just tragic. There are many more legitimate companies losing big because of people taking advantage of the system. What seems outright and blatant stealing for us is legal to them. There are many more big businesses losing huge money because of this. Wine companies better be on the look out because those trolls do nothing but squat trademarks. I think it will be a progressive change for China to amend their registration system.